First stop the instance (do not terminate) as shown below. 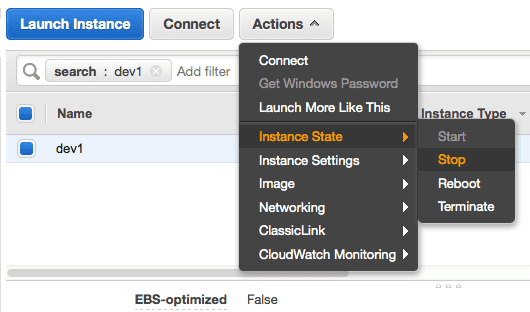 Make sure that your instance is not in terminate on shutdown mode as you need to start it again. After shutting down, detach the volume from the instance. Now create a tmp directory and mount the newly added device to that directory. Now you can detach this volume and attach us back to original instance (as root volume) and start that instance.